Szwedzki zespól Archimedes Badkar powstał w 1972 roku w Sztokholmie. Na trzech interesujących płytach nagranych w latach 70-tych, w dość spójnym stylu połączyli muzykę etniczną, jazz i rock. Czwarty album nagrany został z grupą Afro 70 i podąża już zdecydowanie w kierunku afrykańskich rytmów. 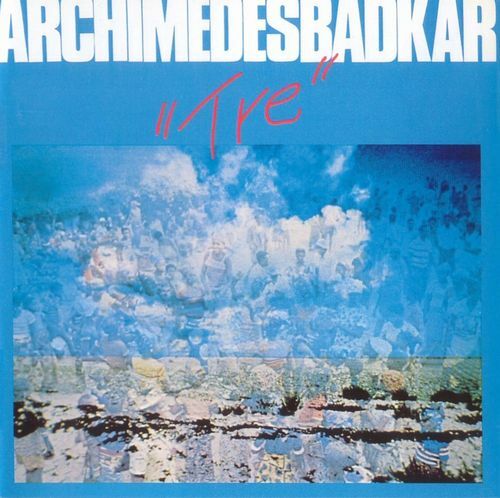 Archimedes Badkar is a Swedish band who released three albums during the 70's. Their debut album, Badrock For Barn I Alla Aldrar shows an already mature band that tries to integrate ethnic music, jazz, rock and folk. Their style is fairly unique, but imagining a mix of Embryo and Arbete & Fritid would give one a good reference point. In 1976, Archimedes Badkar released the double album II on which the band displayed a much wider range of styles. Elements of (ethnic) Embryo, Third Ear Band, Popol Vuh and Amon Düül I or II (think of "Sandoz in the Rain" or "Paradieswärts Düül") are evident. In addition, they try to integrate Scandinavian and/or European folk in their music. In this respect they sound similar to Arbete & Fritid or Emma Myldenberger/Radio Noisz Ensemble. During the more experimental sections, Archimedes Badkar venture into either minimalist or free rock realms. Archimedes Badkar's instrumentation is half acoustic, half electric; besides guitar, bass, piano/organ and percussion, a wealth of other instruments such as violin, mandolin, trumpet, flutes, cello, bouzouki, saxophones, etc. can be heard. Both the wide spectrum of musical influences and instruments make this album a varied listening experience. Their music is partly energetic and lively, while other tracks have a much more raga-like drone or even a cosmic, trippy Krautrock vibe. The alternation between droning, hypnotic passages and lively, melodic sections gives the album a very pleasant, intrinsic flow. A unique album with absolutely mesmerizing music. Their next album Tre lacks the width of styles that made II such varied listening, but is another excellent album showing no signs of compromise or lack of musical ideas. The album opens with a rather jazzy track with great, busy drumming and a wealth of percussion over which saxophone, piano and several other instruments play their solos. A short intermezzo with chanting voices and percussion follows, after which they go into a hard to classify percussive track with Latin and African elements. Next a series of more sedate tracks follow with references to various ethnic music styles. Some of the tracks have a jazzy feel to them as reed instruments are used frequently. Towards the end the band segues into a great ethnic fusion groove close to Embryo.